Mitchell H. Cloward serves as the administrator of Dixie Regional Medical Center. 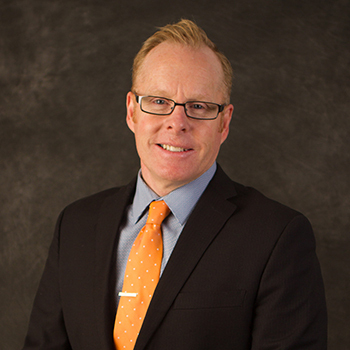 He joined Intermountain Healthcare in October of 2002 as an operations director for Intermountain’s Medical Group. In 2006 he advanced to become hospital operations officer guiding surgical services, neurosciences, rehabilitation, lab and serving as on-site administrator of Dixie’s 400 East Campus. He became administrator for both campuses in 2016. In 2015, the St. George Chamber of Commerce recognized Mitch with the “Innovator of the Year” award. He has served in many community capacities, including board chair for the Dixie Applied Technology College. Mitch holds a Master of Healthcare Administration from Texas Woman’s University. His career began as a financial analyst for the Kelsey-Seybold Clinic in Houston, where he rapidly advanced to administrator over physician practices and retail pharmacy. He directed finance for Great West Life and Annuity/One Health Plan and within a three-year period became their vice president of network development for the Dallas and Fort Worth areas. His diverse background has given him broad and deep experience in insurance, physician practice management and hospital operations. He and, Jennifer, his wife, are the parents of five children and reside in Santa Clara, Utah.